When did Jessica Creighton leave the BBC for Sky Sports News? A few years ago now but there was also Geoff Clark on South Today. The first time I saw Geoff was when he turned up on the News Channel circa 2008/09. I remember it being the first time I'd seen a newsreader with a beard and at the time I was shocked. Ahhh Bev and Geoff what a superb duo! I think Rob would have fitted in very well with the format and style of B100Days. He's knowledgable, funny and unflappable. And he was all of that! 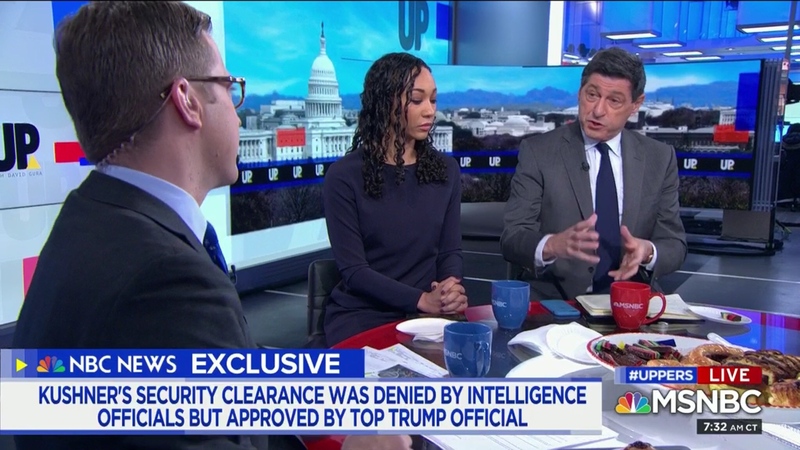 John Sopel is appearing again on MSNBC this time for Up. Rob Watson presenting Beyond 100 Days Tonight. In place of Christian Fraser. It might be last minute Katty explained that Christian was at a family funeral. Just saw Dharshini David introduced in World Studio C as Economics Correspondent! I had no idea DD was back at the BBC! Or dateline llondon as the title card seems to call it. That's a shame. Jane and Shaun were doing a marvelous job. I know a lot of newsreaders have their own funny little quirks, but has anyone noticed how Clive Myrie only buttons up his jacket when presenting on BBC One? Carrie Gracie presenting Afternoon Live today. Charlie Stayt had a funny little quirk in 2010. Er really? It's a bang off camera from the uploader - not on the news set. Pathetic upload.